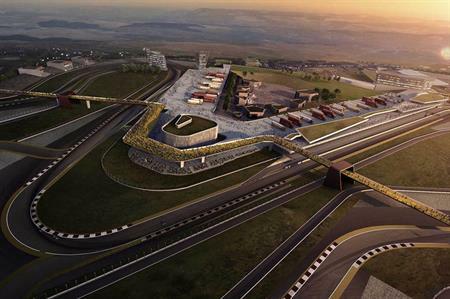 The £280m Circuit of Wales race track development, including hotel, conference and team-building facilities, has been granted planning approval. The development, near Ebbw Vale in South Wales, is projected to bring £50m annually to the UK economy and create thousands of jobs. Michael Carrick, chief executive of [developers] Heads of the Valleys Development Company, said the complex would "deliver a truly innovative and sustainable business, helping to deliver long-term economic and social benefits for the region". The first phase will include a 3.5-mile motor racing circuit with hotel, commercial and retail complexes, as well as motocross, karting tracks and off-road driving facilities. A spokesperson confirmed the development would also include corporate team-building opportunities such as track days and 4x4 experiences, and that the hotel would offer conferencing facilities. The 'low carbon automotive centre of excellence' will be capable of hosting international events including MotoGP, Superbikes, World Motocross and World Touring Car.